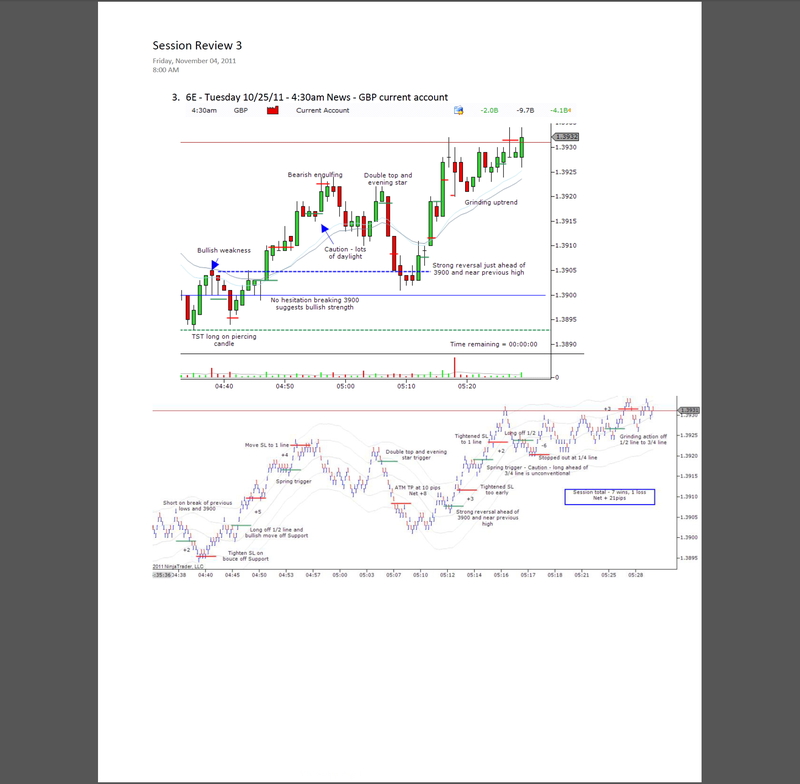 I had an email chat this week with a trader, Bruce, who is progressing well in identifying potential sources of orderflow for trade entry. 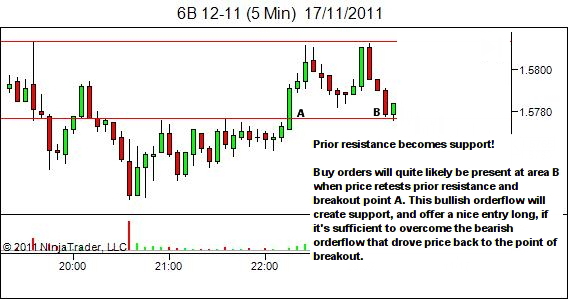 Bruce took a limit order buy entry at point B on the following chart, based upon the principle of Prior Resistance Becoming Support. 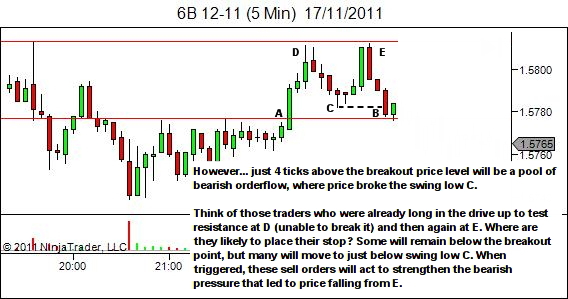 The main problem with this particular trade though, is failure to consider other potential sources of orderflow that may oppose the trade premise. 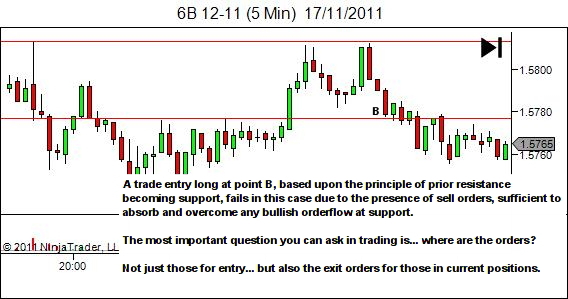 Always ask, “where are the orders?